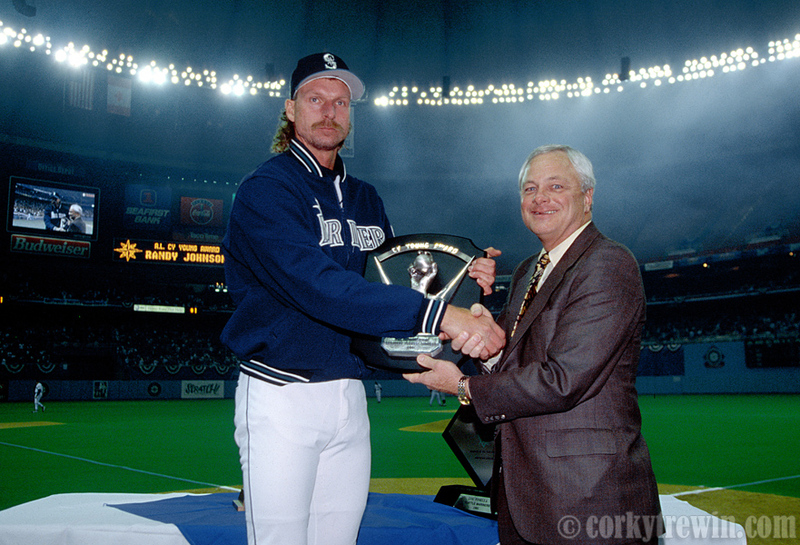 Seattle Mariners pitcher Randy Johnson accepts the 1995 American League Cy Young Award from Mariner’s President Chuck Armstrong during 1996 opening ceremonies. Johnson finished the ’95 season with an 18-2 record and a 2.48 era. This entry was posted in MLB, Seattle Mariners, Sports and tagged Chuck Armstrong, Cy Young Award, Randy Johnson.